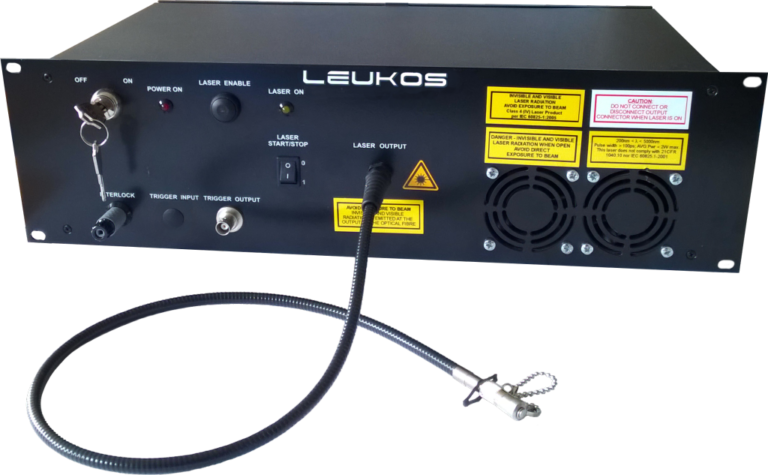 Since 2009, Le Verre Fluoré has been pioneering in development of a range of mid IR supercontinuum laser solutions. Unique solutions are proposed in order to ensure long term reliabilty and industrial compliance. 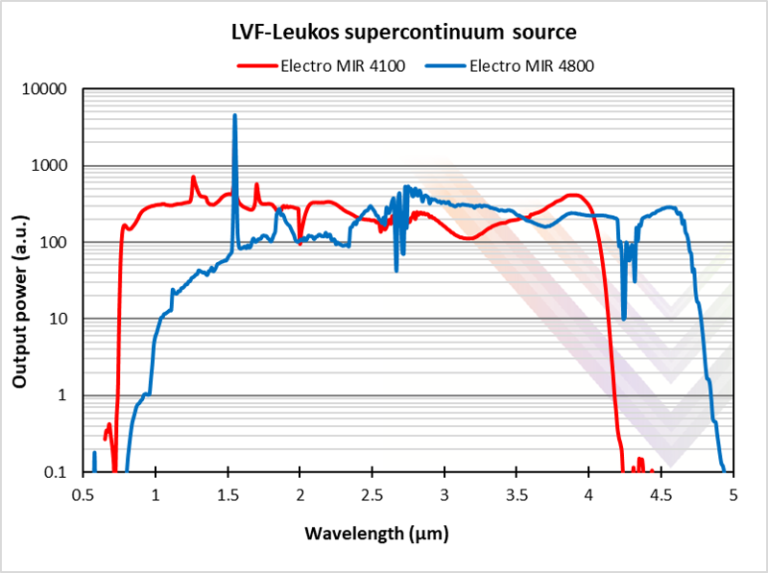 Since 2017, Electro-MIR 4100 and 4800 are the commercial supercontinuum sources born from Le Verre Fluoré over 40 years’ experience in Fluoride fibers and LEUKOS’ over 10 years’ experience in the field of supercontinuum laser. These supercontinuum sources exhibit a high brightness from 700 up tu 4100 or 4800 nm. Then, they are an ideal solution for mid infrared applications such as infrared spectrometry, countermeasures (IRCM), spectral fingerprinting… Robust, compact, reliable, they can easily be integrated in laboratories as well as industrial environments. Discover their features, specifications and applications below.